Many of you have come to a show or a live music event here at #the402 venue since we opened our doors in 2012. We have shared this wonderful space with Hardy Coffee Co all these years and have loved seeing so many amazing music and art events happen inside these walls. We want to thank all of you who have came to a show, donated, supported, and performed in this space. As of November 1st, our organization will no longer be managing this space as a venue. Our Executive Director, Benjamin Shafer is working with the building owner to revamp the space and launch a new initiative that still supports and features local musicians and artists in our community. The mission will still be to create a space where all ages and abilities can come perform on the stage in front of a great intimate audience as well as continue to feature great local visual artists. The good news is, we (The 402 Arts Collective) will still be able to use the space for student recitals, gallery opening, and Monday night Open Mic Night. We love our city and want to help bring as much beauty and color to the scene as possible. Stop by some time and see our new office space on the East ground floor of THE 402. Located at 2740 N. 60th Ave, you will be able to find the admin staff working away in that space as of November 1st. We excited because this also means that we will be able to have a space for our growing need for classroom space and visual arts work spaces. Stop by some time and we can show you around. Being a 501(c)(3) non-profit we love to be able to meet with anyone who wants to know about our mission and vision so we hope to have more visitors during the day! This recent change in space, also means that get to build out two additional studios for our drum lesson offerings. We are working to have them finished by the end of November. These studios (J & K) will have acoustic treatments as well has great percussion equipment to suite the needs of any student and instructor. We want to thank you again for supporting our non-profit organization throughout the years. Wether that’s through financial gifts, or simply paying for tuition for yourself or your student. Just this past month we were able to give out over $1400 in financial aid! We are serving just over 320 students per week and have 50 Artists Instructors who make up this amazing network. 6 months ago, we launched our West Omaha satellite studio location and it continues to grow as well. It is so powerful when people pool their resources, work together, and as a COLLECTIVE build something beautiful that impacts lives of people. That’s what it’s all about. Local university students aspiring to go into full time music careers came to the 402 Arts Collective recording studio last semester for some hands on training and creative expression. Collective producer, Kyle Moeller lead the group of students through the process of recording an album of 6 songs they titled "In Retrospect". The students had a great time learning the process, as well as getting to feature some of their collaboration efforts with their fellow students. This project once again exemplifies the mission of the 402 Arts Collective and how by working in partnership with other organizations and communities we can learn from each other and enrich our lives as a whole. Open Mic nights have benefited beginner artists for years, the 402 wants to continue that tradition. WHAT: Do you draw? Paint? Sketch? Do you want to meet and see other artists in action? Then come to the 402 Sketch Walk! All ages all abilities are welcome to meet other sketchers as we go outside to sketch the Benson area! We will gather at 1pm in the 402 venue and then scatter out along the surrounding area to draw, paint, or use any medium you’d like, to sketch what you see. We will rejoin back in the 402 to share our work, talk about our experiences and network with other artists. It’s all about enjoying the experience of making art, and meeting other artists of all abilities and ages. No previous experience required! Everyone from professional artists to those who’ve never picked up a pencil are welcome! Are you interested in networking with local artists? Do you need a space to draw, paint or create freely? Then stop by Fruitful Design to attend Artist Hangout! Meet and connect with local artists. Get the inside scope on what other artists are doing and be inspired to create your own masterpiece. We can't wait to see you there! Thursday, March 29 at 7 p.m.
Students will learn the 26 American rudiments, drum tuning, and how to setup a drum kit. The goal of the class will be to establish a solid technique for students to build upon in private lessons. Relating class content to the music the students listen to will help inspire and motivate students taking this class. Click the button below to get signed up for this class today! Wonder how to "gift" someone visual art or music lessons? Try a Lesson Studio Gift Card! Gift cards are now available in different amounts. Each card comes in a card that can be placed inside an envelope or just given as is. Close the classrooms! School is out, the sun is shining, the pool is calling, and vacations are approaching. For many people, summer is the most busy season of the year, filled to the brim with activities and trips and, perhaps most of all, the complete ability to switch off the brain and focus on the fun you’re having. Summer is for bare feet on the sand and cold drinks in your hand, sunglasses and sunscreen. Put away your lesson books and your instruments - they’ll keep just fine until the fall, right? Most people, inevitably, will take the summer off from music lessons, or art lessons, or dance lessons, or any other type of lesson. It’s a deeply ingrained idea in our culture - classes close for summer so that we can relax. What if, though, this idea is actually counterproductive? What if the three-or-so month break is directly hampering your ability to successfully master the arts? Music, like other forms of art, is an acquired skill. The great musicians of all time are the ones that spent their lives, countless hours, in devotion to learning and increasing their skill and their knowledge of their instrument. There are a great many youth who believe that art, be it audio, visual, or physical, is something that you’re born with - you either have it or you don’t. This simply is not true. If passion and desire are greater than fear and discouragement, anything can be achieved. If you stick with your lessons through the summer, you will be steeped in a creative culture, surrounded by people with the same passion and desire that caused you to sign up for lessons in the first place. You will have accountability to continue your pursuits. You will be taught by a knowledgeable and excited professional. These aspects of lessons are immeasurably important. Culture inspires us to enrich it, accountability ensures that we do, and excellent teachers provide us with the necessary tools. In essence, the extra devotion you show to your art will benefit your mastery of it immensely. Now, summer lessons in and of themselves won't make you great. You can't expect the simple act of buying a bench press to make you a bodybuilder. You don't buy a guitar and expect that you will instantly be Jimi Hendrix. It takes practice. It takes effort, and errors. Having a teacher though, and being surrounded by people in the same boat as you, will provide the atmosphere to nourish your effort and encourage you in your errors. What the gym is to a bodybuilder, the lesson studio is to artists. You can become the Beethoven, the Elvis, the Mcartney of our time. You can be the Monet, the Van Gogh, the Picasso of the modern era. Just simply be passionate and devoted. Instead of taking a break from art this summer, stick with it. This summer, stick with music, drawing, or photography. Keep singing, keep drumming, keep painting. Talk to your instructor about summer lessons, and don’t stop creating. You can hear the pulse from the coffee shop below. Pounding and erratic rhythms shake the worn brick building. Drum lessons at the 402 Arts Collective. Enter the lesson studio around the corner and climb a creaky flight of faded wooden steps and find yourself in a hardwood and brick waiting room, surrounded by the spastic pounding of commenced lessons. The door below swings open, letting in the busy noise of Benson’s downtown traffic and two sets of heavy feet clomp up the steps. Two young men enter the waiting room - Eric and Earl, the students. They are followed a few minutes later by the instructor, Steve, who leads them into a lesson studio. It looks like a renovated apartment. Doors open and close into cramped hallways with doors on either side leading into other studios. The room Steve leads them into is set up with two drum sets and three windows overlooking Benson. A room off to the side is haphazardly stacked with boxes of sheet music, guitars, posters, CD’s, and drumsticks. The lesson is a simple fill from “Billie Jean” by Michael Jackson. Steve plays it slow and Earl follows along. One-and-two-and-three-and-four-and-one. The beat. Add the fill, repeat eight times. It takes him a little while, but Earl eventually can play it himself. He swaps seats with Eric, who performs the same exercise. Next, Steve has them pull the stools around to go over new material, the next part of the song. Listen, listen there! That’s our fill. He writes the notes on paper and shows them exactly where each beat occurs, and then he has them play it. Do it again. Again. Again. Keep it coming. Music and other artistic outlets shape the societies that they are born in. They are a look under the skin of the world, a detailed examination of how and why it operates the way it does. Literature is a symbolic reflection of its time, with the capacity to architect new mindsets or raze existing ones. Visual art provokes thought and action and mirrors the aesthetic of its culture and those who create it. Music is the heartbeat of society, an outlet for constricted thought and emotion. For Eric and Earl, the drums are a distraction from their day to day. The steady rhythm and practiced beat help them focus and through their lessons, they are taught patience and perseverance. Music and the active pursuit of it helps these young men grow beyond the fractured homes and broken streets that they have been surrounded by. It is a growth that they would never have known without Urban Amp, which pairs 402 instructors with underprivileged or troubled youth who otherwise would have no means of growing artistically. That's what the 402 Arts Collective is all about: bringing art to those who desperately need it and providing them with the space and the tools to flourish. The Urban Amp Outreach is the essence of that mission, the 402 encapsulated. Ben Shafer, the founder and director of the 402, believes that it is the reason that his organization exists. The 402 Arts Collective is not just that cool place to learn music. It isn’t just an artistic community. Through Urban Amp, the 402 is a haven for the downtrodden, a place of respite, where they can find friendship and nourishment. You can hear the pulse from the coffeeshop below. Drum lessons at the 402. For The 402's new Music Curator, Cody Villarreal, sharing great, new music with the masses is what he lives for. It's been a passion of his since he was young and now Cody has found the perfect venue to share his passion for undiscovered music with people who just need a song to fall in love with. The first ever 24-Hour Art Off took place on December 3rd at 9AM - December 4th at 9AM. Aromas was already buzzing by 9 o'clock that Saturday morning and it really set the vibe for the rest of the day. Camryn Bowes, an 18 year-old student at Papillion who takes visual art lessons at the 402 Arts Collective. Camryn aspires to write scripts and screenplays one day. Elizabeth Davis, a 22 year-old visual artist who graduated in May 2016 from the Kansas City Art Institute in the Animation Department. Sydney Chase, a 22 year-old visual artist and Visual Art Instructor at the 402 Arts Collective who attended the Kansas City Art Institute in the Painting Department. Michael Stevens, a 22 year-old visual artist who attended the School of Art Institute in Chicago and the University of Nebraska Omaha. Michael is also a Visual Art Instructor and Music Instructor at the 402 Arts Collective. Camryn, Lizzy and Sydney were there for the first couple hours before Michael arrived. Michael is multi-talented and has many hats that he wears, so he was delayed because he was playing violin at a rehearsal that morning. The artists used a variety of mediums to create diverse pieces of art. Camryn worked with Acrylic paint and ink, Sydney worked with oil paint and ink, Michael worked with oil paint, and Lizzy used charcoal and paper to make a series that she turned into a gif. All day Saturday people were in and out of the coffee shop, passing by a large sign, which explained what the artists were doing. The result was lots of intrigued people. The first painting was sold at about noon and the artwork continued to sell rapidly after that. The artists raised just under $500. People paid what they wanted, so payments ranged from $1 to $100, it just depended. Overall, the artists were pleased on how the event turned out. There is talk of doing a 12 hour version of this event in the spring (maybe late April) and another one in December of 2017. "The open door mission was a great partner during this event and it was so awesome to see people so excited to help out the homeless this holiday season." -Sydney Chase, 402 Visual Art Instructor and host of the 402 24-Hour Art Off. From traveling with national touring bands to spending hours at the studio in places like Nashville and Minneapolis, Zach Lardy has gained a wide perspective of the vast and often mysterious musical world: the world where artists share their songs and ideas with a studio producer who helps them to refine their sound and to create a quality recording that these artists can then use as a catalyst for playing shows, touring, and making connections. Zach has experienced the many different roles involved in creating well-rounded, successful musicians, and he is eager to share his knowledge and skills with the vibrant community of Omaha. The 402 is excited to have Zach on board as the new "Recording Studio Coordinator." Hear more of Zach's story below! 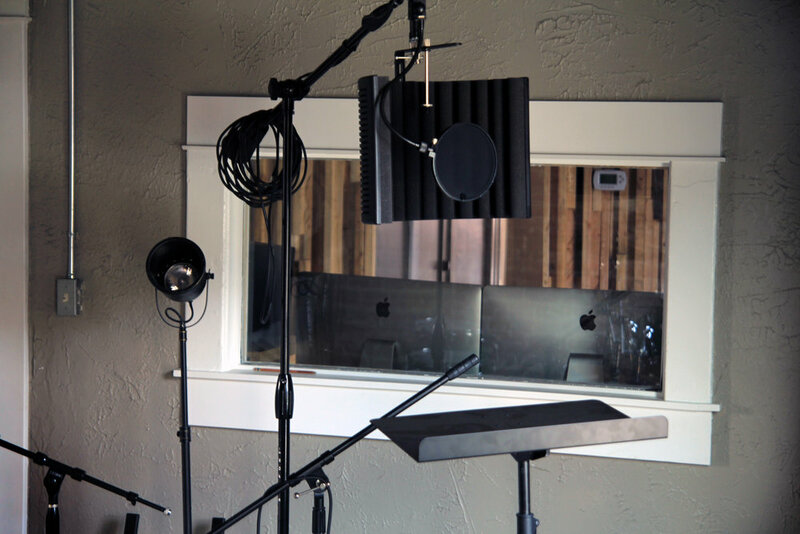 Want to schedule a recording session with Zach? Visit the 402 Recording Page for more details! WANT TO KNOW MORE ABOUT ZACH? After spending the first 23 years of his life in Los Angeles, California, Patrick Duvall made a bold move by uprooting himself and moving to Omaha, Nebraska, to take on the role as "director" for a new program starting at The 402 Arts Collective. This program titled, Musician Collective, aims to provide a unique space in Omaha where young artists gather each week to develop their artistry and learn to be an effective part of a collective. After speaking with Patrick about this program, it is evident that he has a passion for aiming the next generation to becoming musicians that embody humility and excellence. Patrick never envisioned moving to Omaha, Nebraska, until he met a beautiful and musically gifted woman named Kat Stevens, who grew up in Elkhorn, Nebraska. Kat has traveled all over the world using her gift of singing and performance to impact different communities. She will be co-leading Musician Collective as a Voice Coach. About two months ago, the couple transitioned to the Omaha area, got engaged and will be kicking off the first session of Musician Collective on September 6th. Patrick feels that the 402 and Benson community are the ideal place for initiating this program. Want to register for Musician Collective with Patrick? Click here to register! Want to know more about Patrick? Brianna Smith, a Michigan native, is the newest member to join The 402 Arts Collective under the title Voice Instructor. Her talented singing voice and impressive list of teaching credentials make her the ideal fit for this position. However, Brianna is using her voice to produce much more than beautiful music. During this video interview, it became evident that Brianna has a heart for the students she teaches. She opened up about her background in music, her position at the 402, and why she believes each person's voice matters. Many artists grow up aspiring to be a shining star, trying to get their own voice heard, but Brianna was raised to appreciate the voice that each person has been given. Her experiences with music began in a choir, where she learned the importance of many people coming together to make multi-layered vocal melodies, showcasing voices of all types and tonalities. "There's something about voices coming together and the harmony you can create and the different dimensions that you can have when you're bringing different voices together, and especially the more I pursued education and the more I worked with choirs, the more I believed that everyones voice has something to bring to the table." In York, Nebraska, Brianna worked with students of all ages, and she expressed her excitement to begin working with students from the Omaha community, Benson in particular. "I love helping someone find that voice inside of them and finding ways to pull it out and get them to be their best singer, and when I'm singing, I feel the most like myself and like there is something I can offer, and I love to help other people do that." Brianna is empowering her students to feel confident with their voice inside and with whatever art form they choose. "Whether it's singing or playing an instrument or making art, be comfortable with yourself and your love for that and then just find the people that are going to help you achieve your goals and improve upon the things that you love." Want to register for vocal lessons with Brianna? Check out her page for more details on how to get signed up! Ted E. Bear Hollow is the region’s cornerstone for grief support, as well as provides free peer support programs as well as training, education, and consultation throughout Nebraska and Iowa. Along with many support groups, activities and events, Ted E. Bear Hollow hosts a couple teen grief camps throughout the year. The 402 Arts Collective had the opportunity to attend both the fall (2015) and the spring camp. Sydney Chase was the 402 Artist Instructor who attended both events. “Both camps were an amazing experience. It was really neat seeing some of the students return in the spring. Some of these students return year after year. I think this speaks volumes to what Ted E Bear Hollow is doing,” describes Chase. The camps are centered around fun activities, community building but most importantly grief and the act of coping. From breakout sessions to horseback riding to meal time, Ted E Bear Hollow has carefully constructed these camps to not only be a safe environment for the students but also a place the students can be vulnerable and open. These camps are free to each and every student. The Role Model Portrait was centered around the main question: Who has had the most impact on my life? This person could be someone the students still know or knew in their past. Once the students thought of that particular person they then answered the following statements: Think of 5-7 things that your role model enjoys or did enjoy, think of 3-5 things that you admire about this person and finally write 1-2 sentences as to why they are your role model. The Encouragement Chains project was centered around the idea that we are not alone in our grief. Each student wrote out a specific encouragement for each other. Once all encouragements were written they were passed out and each student had the opportunity to read what others wrote about them. “It was awesome to see their faces when they read what others wrote about them. You could definitely tell they felt special and valued. Some of the counselors also wrote encouraging thoughts and words to the students. Very neat,” describes Chase. The artwork created at this camp will be on display at the 402 Gallery for the entire month of May. Stop by and check out the students' work. The 402 Gallery is a professional space located in downtown Benson. Serving multiple purposes, the 402 Gallery is a space for local artists as well as national artists to showcase their work. We have the privilege in sharing our spaces with local coffeeshop Aromas Coffeehouse. Kevin Donahue is one of the newest percussion instructors at the 402 Arts Collective. Although born in Des Moines, Iowa, Kevin has lived the majority of his life in Omaha, Nebraska. He is one of five siblings in his family. Although he claims that he is kind of the black sheep of the family when it comes to being musically inclined, Kevin did inform the 402 that he is related to Tim Halperin who was featured singer/songwriter on American Idol. I have vague memories of trying to bang on different things around the house as a small child. Having seen Wayne's World, I felt a certain connection with Garth. Drums were always something I thought about doing, however it wasn't until I was in 7th Grade that I first sat behind a full kit. At that moment I knew I had to try to get behind a kit again. Kevin played in his first band when he was only 13 years old. He didn't realize he was any good until a couple years later when he played in a battle of the bands. His band competed against other high school bands in the area. Later on in high school, Kevin discovered that he could hold his own on the drums as well as started playing some out of town shows. It wasn't until he graduated from UNO with a Sociology (with a focus in Anthropology) degree and was faced with the question, "What do I want to do for the rest of my life?" that he officially decided to pursue music as a career. There is a drummer/recording engineer in town, Steve Micek, who I met as a late teen. I looked up to him musically. He since has become a bit of a mentor. We played in a band together a few years ago and he really pushed me as a drummer to try things that were outside my comfort zone. He really stretched my style into areas I didn't think I was capable of. He has given me countless pointers and advice regarding equipment, recording, drumming and life in general. I am so appreciative of his generosity over the years. Another influencial person that help convince Kevin that he should pursue drums as a profession probably didn't know he was doing just that. Kevin's guidance counselor in high school saw Kevin play in the battle of the bands. He told Kevin that drums might be something worth pursuing. I wasn't a bad student by any means, but I think he could tell I was passionate about music and that if nothing else interested me as much as music, then music is what I should do. Having a guidance counselor at a college prep school recommend pursuing music meant that I should at least consider it. Another monumental stepping stone in Kevin's life happened the summer after high school. A musician he liked was playing in town and the owner of Antiquarium Records downtown gave him a demo of Kevin's band at the time. After his tour was over, he contacted Kevin and his band and offered to help them get some music together and schedule a tour. The tour didn't come till spring break Kevin's freshman year of college. Kevin is grateful for this experience because without it he believes he would still think being a "real" musician is unattainable for the average person. Songwriter Simon Joyner asked me to be in his band. Over the last 3 years we've worked on albums together and have toured the country together. In high school Simon was one of my favorite artists and I always thought he'd be this mythical figure that I'd sometimes get to see play live but would probably never meet, let alone play with. Something about playing with your idols makes you feel like you can do anything. Through playing with Simon I've had a lot of other opportunities arise including backing a band from New Zealand and helping score a film. Kevin's main focus as an instructor is to make sure his students have fun as they learn. He believes hard work is important but ultimately if you aren't having fun as you learn then it is not worth it. Everyone has something they love and I hope my students can find that one thing, whether it be drumming, painting, playing sports or anything else. If that one thing is drumming, then I hope to show my students beyond a shadow of a doubt that nothing is more fun than playing the drums. The 402 Arts Collective strives to find working professionals like Kevin to pass along their knowledge to the next generation of musicians, artists and creatives. I think someone should choose the 402 for the personal connection that comes with taking lessons there. Where I took lessons as a young person didn't seem to stress personal growth, interpersonal connections or having fun at all. It seemed to be about getting in there, getting a lesson and leaving. I think the 402 is different in that there are teachers who want to connect with students and have fun with them while they both learn about themselves and about the art they chose. All the the teachers at the 402 seem to be in it for the right reasons. By that I mean that it seems like the whole collective is in for the betterment of the community, not just to make money. I like that and I am happy to be a part of it. 2016 is finally here and we can hardly believe it! Check out what the 402 has to offer this new season. 1. Choose an Art form by checking out our Lessons page. 2. Check out the Artist Instructors who teach your desired art form. 3. Register for that Artist by visiting their Artist Profile or contact our office today! Check out all the classes the 402 has to offer the beginning of the year. Sign up for one today! All current classes are available to adult students. We at the 402 believe you are never to old to learn something new. Give to the 402 for your end of year giving! Help us impact those lives that live in your neighborhood right here in Omaha, Nebraska. We have seen life change through a simple act such as a music lesson or art lesson. Not only does each of our Artist Instructors gift each of their students with knowledge and skill but they also instill confidence through success. General Donations to the 402 goes towards "keeping the lights on" and ultimately is used to help further the 402 impact right here in Benson. Urban A.M.P. (Artist Mentorship Program) is a brand new program, started in 2015, that we would like to carry into 2016. Urban A.M.P. is a branch off of the 402 Lesson Studios Program. A student of Urban A.M.P. comes from lesser means and is 100% scholarshipped so they can receive 1-on-1 mentorship and guidance in their desired art form. By giving to this program you are actively changing a student's life in a drastic way. Check our resource opportunities. There is always a need for new supplies here at the 402. All donated instruments, used or new, are given to a student in need. We have a waiting list for guitars, cellos, violins and more. By donating to our resource opportunities (whether with money or with an instrument covered in dust in your closet) you are changing a life. What is performance anxiety? Most musicians have had moments of doubt when they do not think they are in control of their nerves when they are performing. The practice sessions daily and nightly that we put in sometimes are not enough, even though we think we have a piece mastered. Practicing is an art. So many times we believe that being able to play a piece ten times in a row will be enough for us to be prepared for our performances, or that practicing six hours a day will bring us to the mastery level. Careful and thoughtful practice is difficult to achieve, but when you understand the nature of how to practice and prepare for a performance we can control our anxiety. First, find the sections that are difficult for you in the piece or pieces you are trying to master. Practice those sections at a slower tempo, then speed up five clicks of the metronome until you can play at tempo. If you are struggling with an intricate finger pattern, change the rhythm or bowing. For example, if the section is all sixteenth notes, change the rhythm to dotted eighth sixteenth notes or triplets, or add a different bowing. Practicing just the shift notes and not the notes in between is helpful as well. The day of the performance try to stay away from caffeinated beverages, drink lots of water to stay hydrated, and eat a banana which adds potassium to your body that can help control nerves. If you have practiced the difficult sections to be at 120% mastery, then when the nerves set in, you will perform at 100% mastery. It is just the nature of the beast, our nerves set in and if we are not prepared beyond mastery, then our technique may falter. As musicians we are performers and live for the stage. We may not be public speakers, or debaters, but it is our choice to entertain to audiences night after night. Life is too short not to be prepared for every performance at mastery level. Don’t waste your time or your audiences’ time by not being prepared for all performances. Practice smart not hard. Written by Artist Instructor Christina Allred about her experience as an instructor at the 402 Arts Collective.